WHAAAT? Those days when your night was shorter than anything you can measure, your cat vomits on the carpet and your dog's emissions interrupt your breathing. Those moments when you'd love to be Away. When you need to relax. When your mind and soul needs a quick vacation. When your partner just won't stop snoring. Away lets you enjoy highest quality wellness audio so you can unwind after a busy day, sleep better and become more productive. Immerse yourself into a beautiful forest with over 20 carefully mastered and seamlessly looped nature sounds. Recorded in psychoacoustic 3D for headphones. Far superior to regular stereo recordings, making good headphones sound great and great headphones sound excellent. Hear the forest come to life around you. Change the time of day, find your favorite listening spot within this beautiful forest, and let your mind visit this place from far Away. 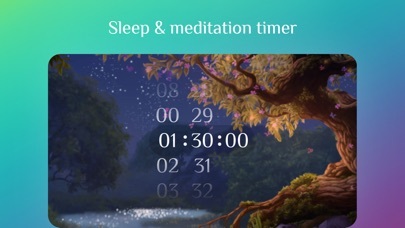 You will sleep, relax, meditate and focus better with Away because Away masks unwanted noise. 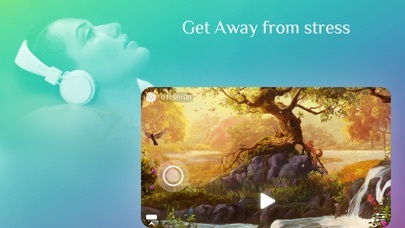 Your ears will love Away because Away plays soothing high-quality nature sounds recorded in psychoacoustic 3D for stereo headphones. Your eyes will love Away because the forest comes as a motion-controlled 3D parallax illustration with daytime transitions. ≈ The second sequel to "Best of 2014" app Windy ≈ Away features my best nature sound recordings from Hawaii and Germany. I recorded all nature sounds the way you hear: With psychoacoustic 3D sound field microphones. Over stereo headphones, you'll find yourself immersed in a forest far Away, with wind and leaves swirling all around you, birds singing during the day, Hawaiian Coqui frogs singing at night and distant American Bull Frogs resonating through the valley. Get closer to the river or waterfall or retreat to the calm pond in the back. In the morning, listen to the funny sounds of wild Hawaiian chickens recorded on the beautiful Garden Island of Kauai. Hear birds waking up and birds singing. Away is a treasure chest of sounds. And if you like, blend in music composed for Away in Hollywood. ≈ Features ≈ + 20 carefully recorded and mastered nature sounds. + Psychoacoustic 3D audio optimized for Apple EarPods & headphones. + A beautiful motion controlled 3D parallax scenery. + Mixer: Add music, tweak Away's volume. 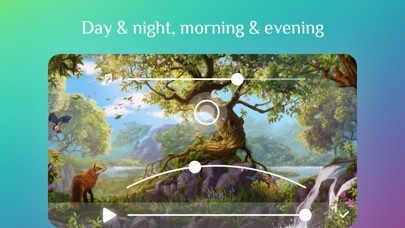 + Pick your favorite time of day and hear the soundscape adapt. + Drag the virtual microphone to find your favorite location. + Music composed for Away in Hollywood. + Universal app for iPhone and iPad. + Beautifully crafted audiovisual experience. Designed & developed by Taptanium. Join over 5 million extraordinary people who enjoy some of the highest wellness audio apps in the world. Download Away today and help me buy a house for my cats. So they can vomit outside in the garden, rather than on my carpet. Thanks. ≈ Questions? ≈ Need addiction counseling because you can't stop using my incredible apps? Or found a glitch in the Matrix that I should know about? Or something else? Email franz taptanium com or send an email through the in-app contact support page. I answer every email. All of the apps by this developer are beyond awesome. I have written maybe two or three reviews over the past maybe 11 years. This app is so great for relaxing that I just had to give it a little shout out. 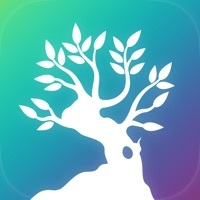 Great app for relaxing during stressful times that can occur during the day. 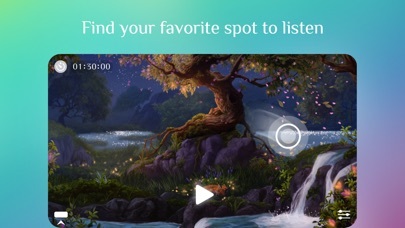 After purchasing the app, playing the music, navigating throughout the settings, I grew tired of the music and wanted to hear more music options. Guess what, there are none. Disappointed. ...but I have every other app he’s done as well. It is brilliant in every way, totally unique and endlessly wonderful. Subscriptions I actually enjoy paying (actually I don’t think I do for this one... but I would. Hit me up, Franz :). My kids sleep like angels thanks to all the work and love that has gone into these apps - after they stop fighting over whose turn it is to choose the dream soundtrack for the night. “Away” tends to be my default, even in the car. Tip: if you don’t use headphones, splurge on a great speaker/sound system. These apps deserve it! I am Gordon Hempton fan and now I'm also a Franz Bruckhoff fan. The number of nature CD's I've bought over the years and been disappointed in the unrealistic sound has been expensive and frustrating. 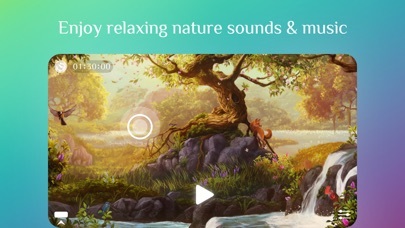 The magnificent sounds of nature and a simple, easy to use interface make this app well worth the money spent. Thank you Franz for another quality product. Keep 'em coming!